We’ve written quite a bit about the customer journey over the last few months. We’ve also stressed the importance of recording every single action your visitors perform while visiting your website, especially if you happen to run your own small business. As a business owner, you might be asking yourself: “What do customer journeys have to do with me?” The short answer is that customer journeys matter to businesses of all sizes — a lot. As a business owner, you’re well aware that your goal is to make your customers happy. Why? Because happy customers lead to happy cashflow. Don’t believe us? Take a glance at Salesforce’s latest State of Marketing report; they argue that a small business owner’s top priority should be real-time customer engagement. And the secret to making your customers happy involves designing a positive customer experience. It all sounds like a lot of work, especially if you’re managing a very small team or if you’re running a solo operation. There’s also a strong chance that you’re juggling many different hats and focusing on so many things: making a remarkable product, providing excellent service, finding more customers, paying those dreaded bills, managing employees, negotiating with vendors — and heaps more. 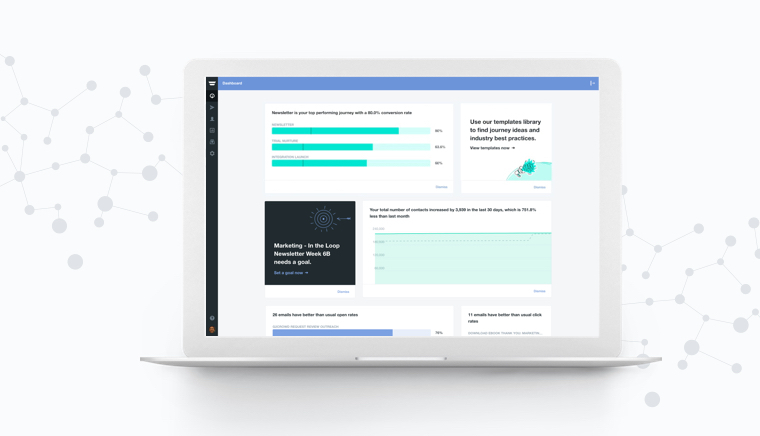 But what if we told you that marketing automation can help you streamline those tasks AND help you create remarkable customer journeys so you can engage — and nurture — your customers? Once you have that down pat, everything else will follow. The next step involves looking for the right marketing automation solution for your business. 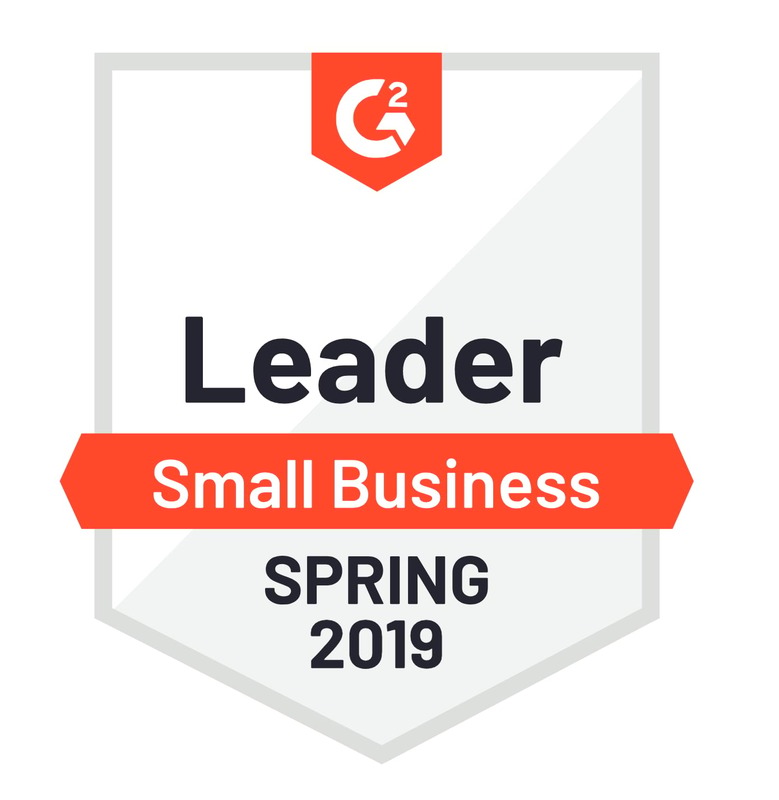 Just recently, G2Crowd has recognized Autopilot as leaders in the Marketing Automation Software industry for small business owners. If you run a small business and haven’t yet made the switch to Autopilot, give us a go by signing up for a free 30-day trial. Now that you know that marketing automation can make your busy life easier and grow your business in the process, what’s the next step? In this post, we’ll take a quick look at 8 ways marketing automation can help your small business grow. We’ve all been in this situation before: you’ve come across a product that sounds pretty cool, you go on the product’s website, you fill out an inquiry form wanting to know more …. but you don’t hear back from the company. According to the Harvard Business Review, 23% of companies never follow up with leads. There could be many reasons why; they could be too busy, underresourced… or they just don’t have a process to follow up leads. But by using marketing automation, they can set up a trigger that instantly sends a follow-up email to new leads who filled out a form without having to worry whether Glen from marketing will actually remember to send a form manually days later. This process will automatically let the lead know that someone will be in touch with them soon, or send a Slack notification to the sales team. The goal is to make the experience as seamless as possible and not leave the inquirer wondering if their message went into the abyss of bad marketing and sales. The following template shows you how it’s done. You can also look at our other templates in our Templates Library to help you to visualize the unlimited things you can automate using the right software for your business. Is there low-hanging fruit amongst your contacts just waiting to be plucked? Think of the repeat purchasers, influencers eager to give word of mouth recommendations, and people who are ready to buy now. Since marketing automation tracks the activity and behavior of people in your contact base (like form submissions, purchases made, or email opens), you can easily group your contacts into the critical segments who you need to target to make the most of your business. In marketing automation circles, you’ll often hear about lead nurturing. Put simply, it’s the process of gradually building trust with potential customers until they are ready to buy. Lead nurturing is like a gardener who nurtures her herb garden and rose bushes with love and care. What do Warren Buffett and marketing automation have in common? They both see value in reactivating the same thing repeatedly. Buffett is famous for seeing a dollar’s value for its worth when compounded annually for the next twenty years. Likewise, marketing automation multiplies to the value of leads by nurturing and “reactivating” them, over and over, until they become customers. 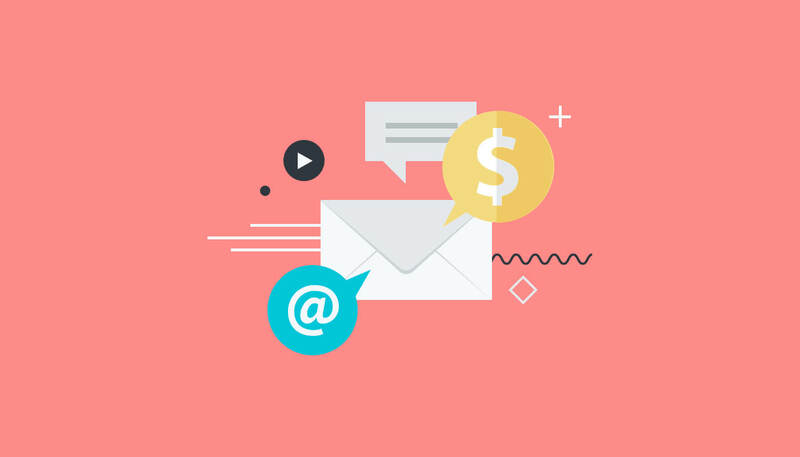 A lead could be in your contact database for years, being sent your double open rates email newsletter or receiving the perfect lead nurture email, before finally making a purchase. Imagine having to contact a lead manually every 10 days for 2 years — no small business has time for that. This is where marketing automation comes in. In other words, bad marketing scales, but so does good marketing. When you pull the trigger and implement marketing automation in your small business, the customer journey you’ve created, for better or worse, will be on a loop until you make any adjustments. This is why crafting a remarkable customer journey is a must for every small business. The best marketers and business owners break down the set of decisions and hurdles that a lead faces as they evaluate a product or service — and guides them through every step of the way. With multi-channel marketing automation software, you’ll be able to converse naturally with customers in the right place at the right time. The channel could be email, SMS, direct mail, Facebook, retargeting ads, and more. The key is context. Is your audience on their smartphone or on their desktop? Are they on the bus or at work? Marketing automation enables you to centralize and organize your customer profile in a single spot that records actions, events, and behaviors across multiple services, so you can engage your contacts through all these different channels. You won’t be constrained to an email-centric marketing strategy. Picture this: You are an e-commerce wine company selling Chardonnays and Pinot Noirs to customers all over the world. Tony from Wisconsin buys a spicy, earthy, leathery Far Niente Chardonnay from Napa Valley in California. What if a day after he purchases, you could automatically send an offer for a Domaine Serene Chardonnay from Oregon to expand his vino love? He already bought a Chardonnay so there’s a strong chance he will buy another. With marketing automation, you can set up automatic upsell and cross-sell campaigns based on your customer’s previous purchases. 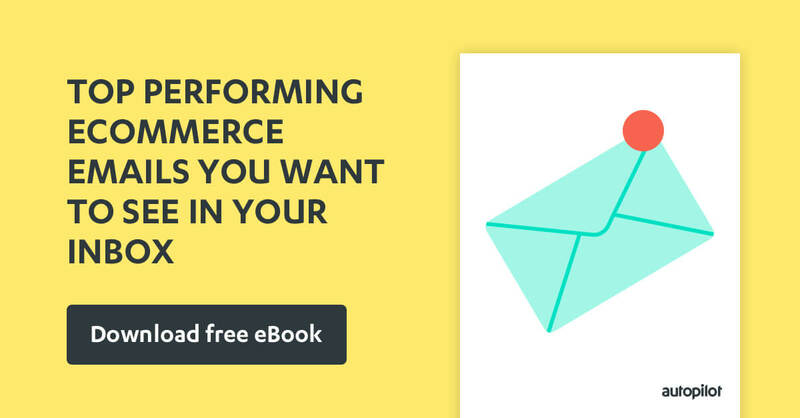 Instead of shooting off a generic (and random) “batch-and-blast” email, you can send a personalized offer tailored to your customers so they’re more likely to take action. Do you know how your customers really feel about your company or product? Would they recommend you to their friends? Or would they badmouth your products all over the Internet? The benefit of surveying your customers is that you can build the feedback into your marketing communications, act on it, and create a more fine-tuned customer experience to turn detractors into promoters. As you can see, marketing automation can help you grow your business by streamlining processes and helping you create customer journeys. Results won’t happen overnight, however. You’ll still need to do the initial hard work of breaking down your customer’s journeys and creating engaging content for the right people at the right time in the right place. But once you’re up and running, your marketing will be on Autopilot delivering results and driving revenue, all while you run the cogs of your small business machine.